Hannover. LIGNA.TV is back for a fourth season. Woodworking professionals will be able to tune in to the web TV service during the run-up to LIGNA 2019 and on every day of the show. LIGNA.TV brings the latest industry news and views to the Internet in a series of quality video round-ups. The service will be available from January to May 2019 at www.ligna.de and on its own dedicated LIGNA.TV YouTube channel. The whole package is coordinated and organized by the German Woodworking Machinery Manufacturers' Association (part of the German Engineering Federation – VDMA) in partnership with Deutsche Messe. Joiners, cabinetmakers and other woodworking professionals are coming under immense pressure as a result of digitization and escalating customer expectations in terms of product quality and individualization. But the good news is they can tune in to LIGNA.TV for coverage of these and other major industry trends, information on the latest machinery solutions, and first-hand insights from industry peers. They can use the service to find information, complete with real-life examples on things like how to find the right digitization and automation solutions for their needs and how to deal with their industry's worsening skills shortage. With their fresh, modern visual styling and use of information-rich graphics and animations, LIGNA.TV's short, punchy bulletins quickly get to the heart of even the most complex topics, delivering content that is clear and readily understood. The LIGNA.TV content is delivered by a presenter teaming up with a practising joiner/cabinetmaker, who provides answers to topical questions. What do woodworking pros have to say about the given topics? What are the solutions that actually work? What do tradespeople actually need? What are the best approaches to implementation and usage? LIGNA.TV provides information, tradeshow round-ups and entertainment in three formats: "Tischler-Magazin" ("Joinery Magazine"), "Vor Ort" ("In the Workshop") and "Im Focus" ("In Focus"). Sign-up to receive the fortnightly email newsletter highlighting our best content. 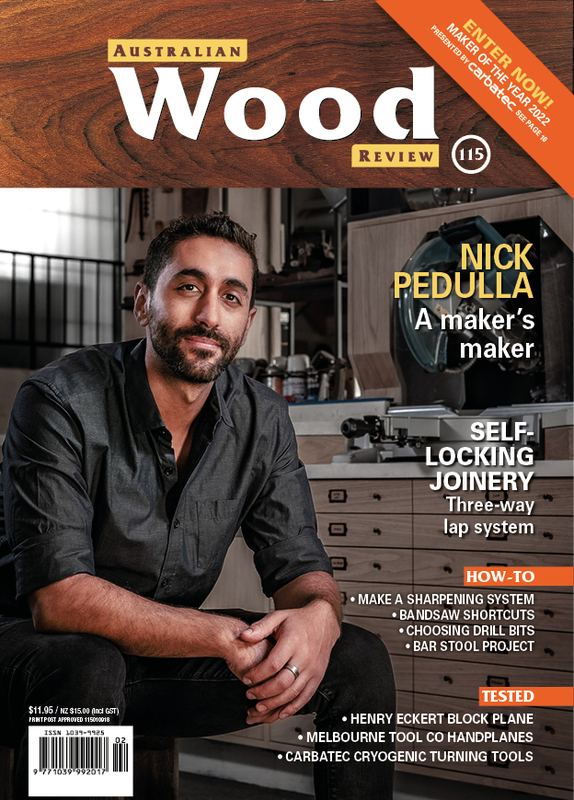 Australian Wood Review is Australia's premier woodworking and woodcraft magazine and covers everything the recreational and professional woodworker needs to know to help them create beautiful and inspired works from wood.